The calendar has turned to April, and we now have the business end of the NCAA tourney. 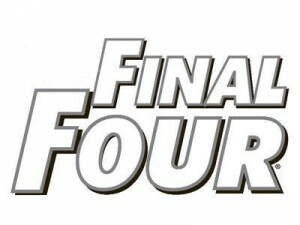 Final Four Saturday is the third best day of the tourney, after the two days of the first round in the tourney. The Final Four teams that have made it to Arizona are 1 Seeds North Carolina and Gonzaga, 3 seed Oregon, and 7 seed South Carolina. People’s favorite coach of the month, Frank Martin, leads the Gamecocks of South Carolina all the way to the Final Four. The Gamecocks are a great offensive team, but are going to be matched up with another good offensive team, in the Bulldogs of Gonzaga. South Carolina is a hot team right now, picking against them is just foolish but they are going to run of their fire at some point. South Carolina is a true Cinderella, it will be interesting how their run finishes over the next 54 hours. Gonzaga has been a consistent Top-5 team for the past few years, but they were never able to get over the hump. This season, they are finally able to leap over the hump and they are now the odds-on favorite to win the championship. They have many experienced players that are looking to end their careers with cutting down the nets on Monday night. The Bulldogs are a great offensive team going against a very hot offensive team in South Carolina. The Bulldogs have a very good defense also, that will play a big role in the first match up today. Oregon might be considered a Cinderella this year, they have a recovered well from injuries and look as good as ever. The Ducks are ending a long Final Four drought and will take on the Tar Heels of North Carolina. The Ducks have a had run, and have won every game despite me picking them to lose in every round. I am hoping that they are the team of destiny and just let me blow up right in my face. Oregon comes in defeating Kansas, which looked like the best team in the tourney. Their matchup tonight will be a great matchup against the heels. North Carolina comes in winning the best game of the tourney thus far. The game was very similar to the championship last season, but the result was different from last season, the Heels finished on top this time around. I might be biased because I might or might not have a lot of money relying on the Heels winning the whole thing. I will try to be unbiased, but that is not something I am programmed to do. Heels look like a team that has a very good chance to cut down the nets. I have been average with my picks, with the one thing being completely wrong on Oregon. Below are the picks of the games tonight and who will advance to Monday.